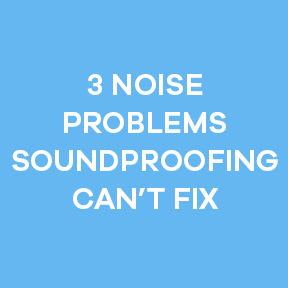 There are numerous reasons why you might want to soundproof a room. Maybe someone in the house is learning to play the drums or another loud instrument, and they want a place to practice where they won’t disturb the rest of the house. Maybe you’re building a home theater, and want to keep the noise contained. Or maybe you’ve got neighbors who like to throw noisy parties, and you’d rather not hear them. 1. Determine whether you’re adding soundproofing to new or existing construction. 2. 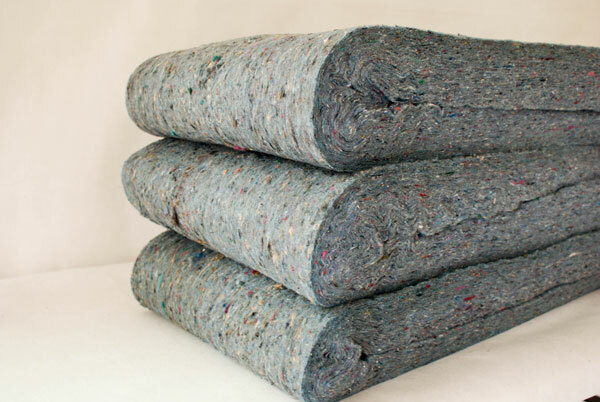 Choose your materials, this will depend on whether you’re soundproofing the floor, walls, ceiling or doors. 3. Install the soundproofing materials in the room. 4. Monitor sound levels and make adjustments as necessary. We’ll go more in-depth with our explanation of soundproofing in the following sections. 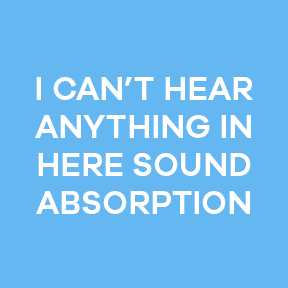 But whatever your reason for wanting to soundproof is, it’s easier than you might think. The first step to soundproofing a room is figuring out your situation. Where are your problem spots? Are the walls thin? Are the floors echoing? Is there a significant amount of noise escaping through the door? Are you looking to deflect sound waves or absorb them? Your answer to these questions will determine what types of solutions will work best for you. Even then, the question of how to make a room soundproof is an intimidating one. After all, there are so many materials to choose from. What makes one better than another? How do you know what one will work best for you? Whatever your reason for wanting to soundproof is, it’s easier than you might think. Here at Soundproof Cow, we’ve got all the products you’ll need. Not only that, but we offer these high-quality products at prices that you can afford. By using these products, you’ll soon be well on your way to creating the soundproof environment you’ve been looking for — all without breaking the bank. If you’re wondering how to soundproof your room, you’re in the right place. To point you in the right direction, we’ve created this comprehensive guide. We’ll use plain English to talk you through the process and help get you started on your soundproofing project. 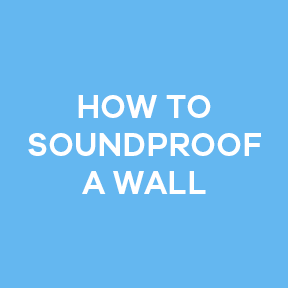 When it comes to soundproofing walls, there are numerous strategies to get the job done. We’ll highlight a few of our preferred methods. These techniques will efficiently create the solution you’re looking for at a lower cost. This is one of the simplest possible methods. Adding mass helps reduce the transmission of unwanted sounds at a fraction of the cost of more complex methods. 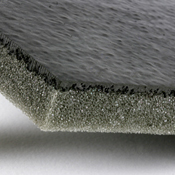 Quiet Barrier® soundproofing material is one of our most popular wall soundproofing materials. 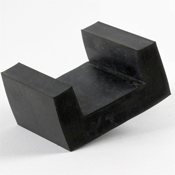 This material is heavy, flexible and non-porous and works to stop sound energy by dampening its vibrations. By comparison, it’s more effective at reducing noise than steel and other common building materials. 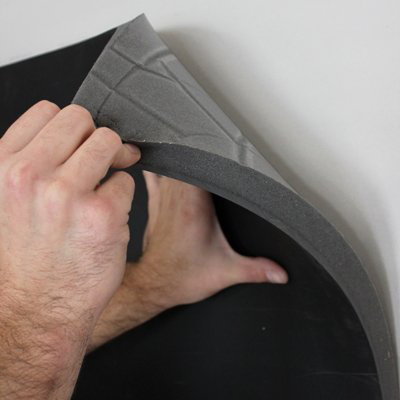 This material can either be nailed to bare studs during construction or can be applied to existing drywall with the convenient peel-and-stick backing. You can also attach furring strips to drywall, place this material on top of the strips, and then cover both with a second layer of drywall. Make sure to seal up all the seams and cracks with caulk or barrier tape. Cotton batts work slightly differently. 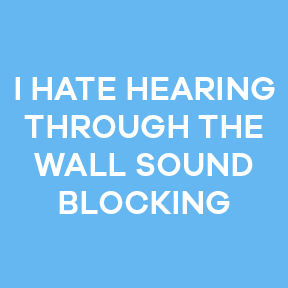 They don’t block noise, but they do help absorb it as the sound waves bounce back and forth between walls. 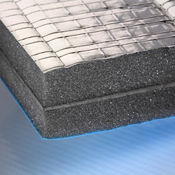 We recommend using our Quiet Batt™ Soundproof Insulation. 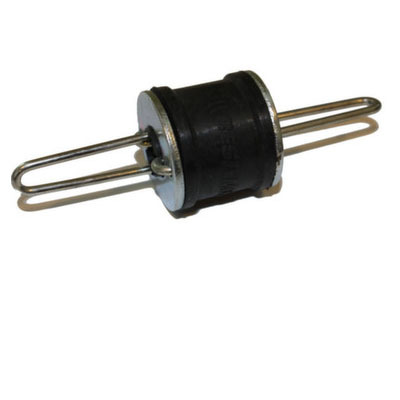 Not only does this help stop those noise transmissions, but it also helps insulate. It’s made of 80% recycled content and is easy to apply between wall studs without any special equipment. This is one of the most popular methods available today. Since sound normally travels between rooms along the studs shared between walls, isoTRAX™ Soundproofing System creates a “floating” mounted wall between the studs. This means there are no longer any common studs between the rooms for sound to travel along. This system is easy to install, increases wall strength and provides great soundproofing quality. Walls can be soundproofed whether they are brand new walls still under construction or whether they are already existing walls. The process is similar for both situations, but slightly different. Because of this, we’ve divided this section in two. First, we’ll discuss how to soundproof brand new walls. The process of soundproofing your new walls begins once you have the bare, brand new stud walls. On one side of the wall, you’ll carefully mount the Quiet Barrier® HD. The best way to do this is to nail it directly to the studs themselves using 1.25-inch roofing nails. Make sure that the seams of the Quiet Barrier™ pieces are fitted together as closely as possible. The idea is for the seams to be virtually invisible. To make sure this is secure and there are no gaps, use the Quiet Barrier® tape and to firmly secure all the seams in the Quiet Barrier®. 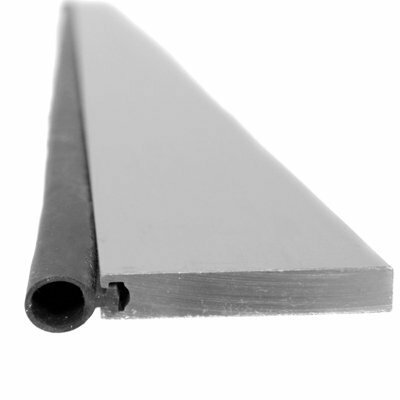 From there, you’ll need the 0.625 inch Type X gypsum board. This is going to be installed with 1.875-inch coarse thread drywall screws. This works best if the screws are placed about 10 inches apart. Be sure to leave a quarter inch of space between the gypsum board and any adjoining floors, ceilings or walls. You’ll then install the Quiet Batt™ soundproofing insulation between the studs. On the opposite side of the wall, the isoTRAX™ Soundproofing System get installed onto the studs. The same gypsum board then gets installed over the isoTRAX™ system, this time using 1.25-inch fine thread drywall screws. Place these screws approximately 12 inches apart, and leave that same quarter inch break between the gypsum board and any adjoining surfaces. This quarter inch gap is then filled with OSI® Pro-Series® SC-175 Acoustical Sound Sealant. For the final touch, be sure the gypsum board is finished according to industry standards. If you’re working with walls that already exist, then it’s going to be a slightly different process. Since you can’t start from scratch, the goal here instead is to modify what already exists. You’ll need to start by using a stud finder to locate the studs in the wall you’ll be working on. Mark these with chalk or pencil for easy reference. From here, the process begins to look similar. Install the Quiet Barrier® HD in the same way as instructed with the new walls. Use the same roofing nails to attach the Barrier to the studs and try to line the seams up as neatly as possible. Seal all the seams firmly in place with the Quiet Barrier® tape. 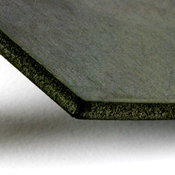 As before, you’ll install the isoTRAX™ soundproofing system over this barrier layer. The instructions for installing it are the same as they would be with a new wall. With already existing walls, however, you’ll also need to install the Echo Absorber Acoustic Panels between the rails of the isoTRAX™ system. On top of this layer, install the gypsum board in the same way you would with a new wall, using the same drywall screws. Finish the wall off by filling in all the gaps with OSI® Pro-Series® SC-175 Acoustical Sound Sealant. Make sure the gypsum board is finished according to industry standards. As with the section on walls, this section is going to be divided into two parts. 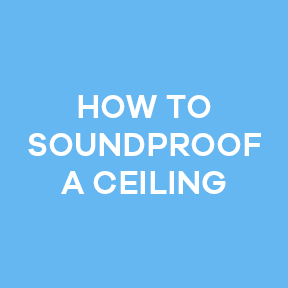 The first section will be on how to soundproof a brand new ceiling that is just being built and the second section will cover how to soundproof an existing ceiling. The process is similar, but it has several significant differences. 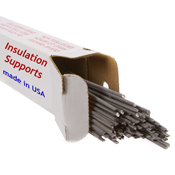 You’ll begin by installing the Quiet Batt™ soundproofing insulation between the ceiling joists. Then, install the isoTRAX™ system onto the ceiling joists around the insulation. 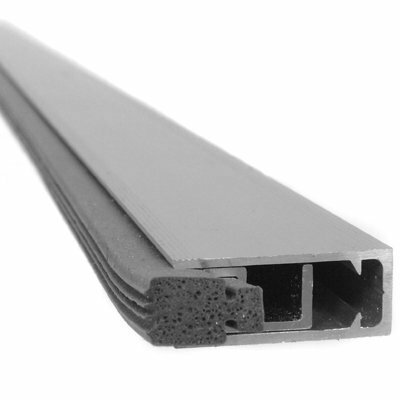 Onto the tracks, you’re going to install 0.5 inch Type X gypsum board. To do this, we recommend using 1.25-inch drywall screws. Place the screws approximately 8 inches apart, and we recommend leaving a quarter inch of extra space between the gypsum board and any connecting walls. Seal this gap by filling it with the OSI® Pro-Series® sealant and don’t forget to finish of the gypsum board as specified by industry standards. Since the studs won’t be exposed, you’ll have to find them yourself. Locate them with a stud finder and then mark them carefully with chalk or pencil. 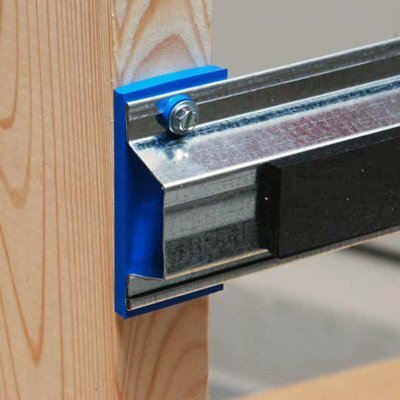 It’s very important that your stud markers are accurate because you’re going to be using them as a guide to install the isoTRAX™ system onto the studs. You’re then going to install the Echo Absorber Acoustic Panels between the individual tracks. The last step is exactly as it was for a new ceiling. As a final layer, you’ll install 0.5-inch Type X gypsum board over top of everything else, using 1.25-inch drywall screws placed 8 inches apart. Be sure to leave a quarter inch of space between the gypsum board and any adjoining walls. The gap is then filled with the OSI® Pro-Series® sealant, and the gypsum board will need to be finished to typical industry standards. Resilmount™ Isolation Hangers are specifically designed for the support and acoustical isolation of internal suspended ceiling systems. When it comes to soundproofing floors, there are two different types of noise to be concerned with. The first type of noise is called impact noise. Impact noise is what you hear when people are walking around on the floor. The footfalls cause vibrations throughout the flooring which then travel through the floor and into the joists, passing down into the ceiling of the room below. The second type of noise is airborne noise. This is the sound that travels through the air. Examples of airborne noise are talking and laughing or the TV or music. Soundproofing floors can be complicated because the process varies depending on what material the floor is constructed from. For our purposes here, we’ll give each common type of material its own section and talk about it separately. No matter what type of floor you have, they all require an underlayment that acts as a soundproof barrier. Different floor materials are better suited to different types of underlayment. It’s important to use the right type for your floor. Hardwood floors come in different forms. Typically, they’re either glued or nailed down, or a combination of the two. In terms of soundproofing ability, glued floors are better. This is because of the way nails tend to transmit sound. Whether your hardwood floor is glued or nailed down, adding an underlayment will help make it more soundproof. We recommend using Proflex™ 90. 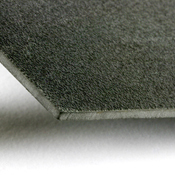 This material is a rubberized membrane that’s been laminated to increase its strength. It has a reinforcing layer of fabric on its outward facing side and a silicone release sheet on the adhesive side. It’s also waterproof and comes with a vapor protected membrane that helps eliminate any cracks. These features all make it the perfect underlayment for hardwood floors. 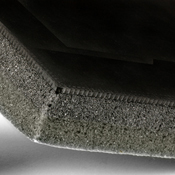 If your floor is a floating hardwood, we recommend the Impact Barrier® Flooring Underlayment. This is the most technologically advanced sound blocking material available for hardwood. It protects against any airborne or impact noise while also remaining moisture, mold and mildew resistant. There are two major noise problems caused by this type of flooring. The first is the transmission of impact noise and the second is echoing. To combat these problems, we recommend using Impact Barrier® Flooring Underlayment. This underlayment will effectively correct your sound problems. Also, it provides an extra layer that helps protect your floor from damaging moisture. This type of flooring can be particularly difficult to soundproof because it is so crucial that the floor is installed on an even layer. Because of this, we recommend Proflex™ 90 MSC Flooring Underlayment, which was specifically designed with this in mind. 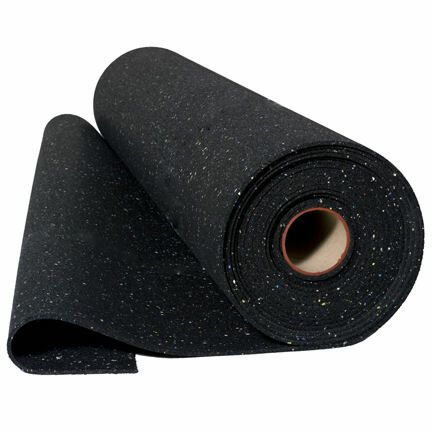 This underlayment was engineered to be perfect under thin-set and mud-set mortar, making it a great solution for soundproofing both stone and tile floors. Additionally, it helps prevent cracking in these types of floors. The benefit of this particular underlayment is that once it’s installed correctly, the tile or stone can be laid flush with the top. The underlayment will be completely invisible. You won’t even notice it’s there, except for how much difference it makes in the sound quality of a room and the reduction of noise in the adjoining rooms. This one is a slightly easier type of material to deal with. This is because carpet already does a great job at muffling footfalls and other impact noises. However, it still doesn’t solve the problem of airborne noise. To soundproof a carpeted floor, it’ll be necessary to use a thick fiber barrier composite to reduce noise transmissions through the floor. This will also help stop noise from traveling up through the floor from the room below. For this situation, we recommend the Impact Barrier® Flooring Underlayment. 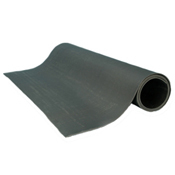 This underlayment is made from the finest, most consistent materials anywhere. It will certainly do the job of soundproofing your floors and has the added bonus of prolonging the life of your carpeting as well. Doors are a huge element to consider when it comes to soundproofing a room. They are one of the most common causes of noise problems because they’re usually the biggest gap in an otherwise solid wall. Besides that, there are usually gaps below, above and beside doors, making them all-around trouble spots for the sound quality of a room. 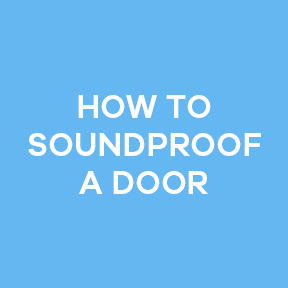 The process of completely soundproofing a door is an enormous project that will take a significant amount of time and labor and will most likely end up being very expensive. The good news is that there are several simpler, more cost-effective solutions. 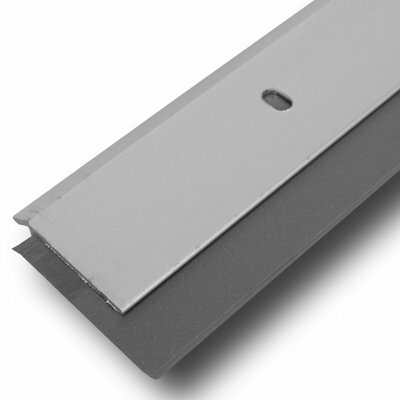 One great way to solve noise problems is to install a door sweep beneath the door frame. Another is to add a seal around the edges of the frame. For maximum soundproofing, try doing both. 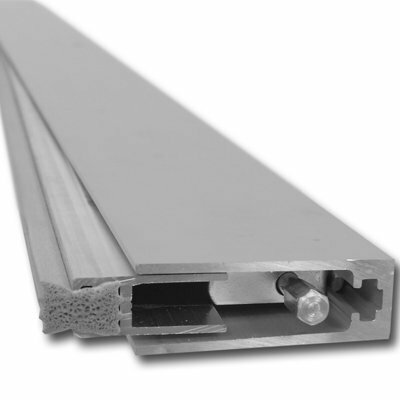 For this type of project, we recommend the Quiet Door™ Adjustable Perimeter Seals. This will help reduce sound transmission by creating a tight seal around the edges of the door in question. 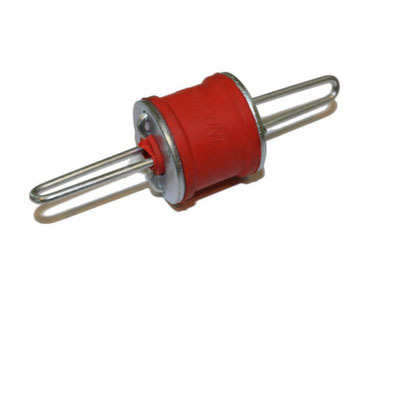 This particular seal is extremely versatile and works for either wood or metal doors. This product is made of durable silicone seals and tough aluminum framing. It also comes with all the stainlesssteel necessary for installation. It’s also easy to adjust. As the material in the seal ages or shifts due to changing weather, a minute adjustment with a screwdriver will easily reestablish the seal again. For a door sweep, we recommend the Quiet Door™ Automatic Door Sweep. This door sweep fits tightly along the bottom of any door to form a seal whenever the door shuts. 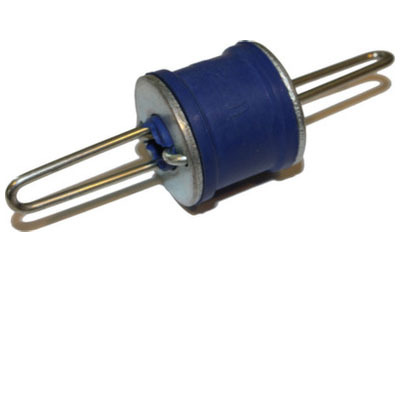 It works well with both metal and wood doors and is sturdy and resilient. Adding acoustic panels is one more way to soundproof your door effectively. 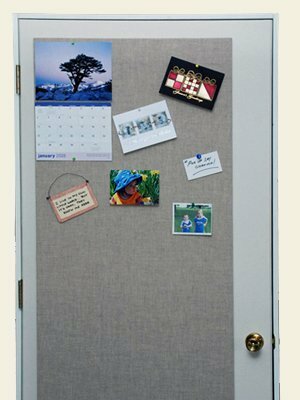 For this type of product, we suggest our Quiet Door™ Acoustic Panels. These are made from the highest quality soundproofing materials available — a composite that’s made of a sound-blocking, viscoelastic polymer with a dense fabric-covered layer that provides cover for the door. 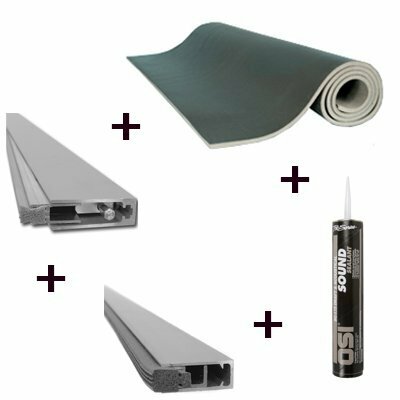 To save you the process of buying the materials you need to soundproof your door individuals, we offer the option of a door kit. 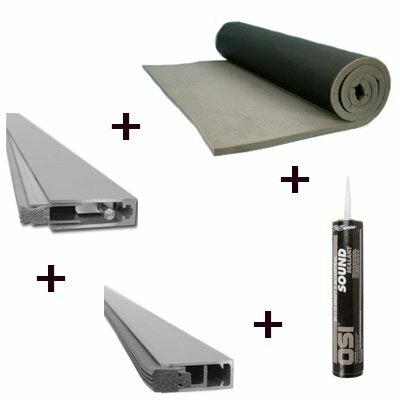 These are convenient, comprehensive packages that supply everything you’ll need to get started soundproofing your door. The kits vary depending on the setting of the door in question, but all of them are effective options that will get the job done while saving you time, money and energy. 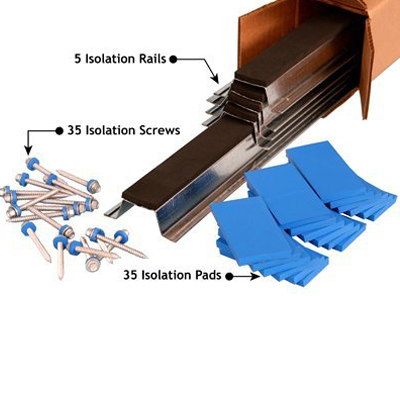 We offer the Quiet Door™ Residential Door Soundproofing Kit, Quiet Door™ Commercial Door Soundproofing Kit, and the Quiet Door™ Industrial Door Soundproofing Kit. Lastly, the sound transmission levels of any door can be lessened by adding a little extra sealant. 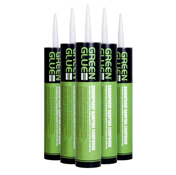 Simply add this sealant around the edges of the door. 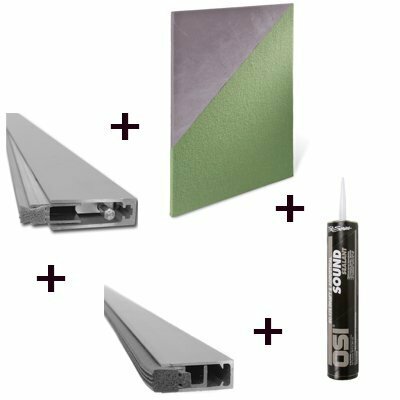 For this task, we recommend the OSI® Pro-Series® SC-175 Acoustical Door Sealant. What Should I Know About Soundproofing a Room? Here at Soundproof Cow, we think it’s important for your rooms to work well for you so you can work well in your rooms. Whether your problem is noise cluttering up your rooms and making it impossible to hold a conversation or terrible acoustics that are disturbing your home theater or recording studio, there’s a solution here for you. If you’ve been trying to put up with noisy neighbors or poor sound quality for years, don’t wait any longer. There’s no need to hire a team of professionals to do the work. By using these affordable products and following our simple easy-to-understand guides, you can have the soundproof space you’ve been hoping for, and you can do it all yourself. 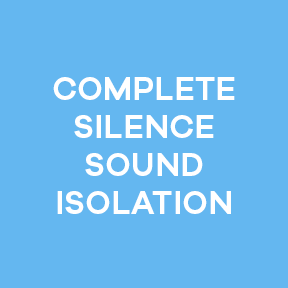 Soundproof Cow has everything you need to address both noise clutter to noise intrusion, from Quiet Door™ Perimeter Seals and Automatic Door Sweeps to Quiet Batt™ 30 soundproofing insulation, sound isolation systems and versatile sound proofing barriers. If you’re interested in soundproofing a recording studio, we’ve got you covered for that, too. Udderly Quiet™ Bass Wedge Studio Foam, Pyramid Studio Foam, Studio Foam baffles, and Fire-rated studio foam transform any ordinary recording studio into a professional, state-of-the-art studio capable of producing spectacularly clear, crisp recordings. 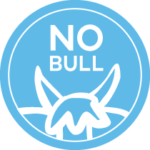 Call 1-866-949-9269 today to speak with a Soundproof Cow team member who will be thrilled to answer all your questions about how to soundproof a room — and that’s no bull.